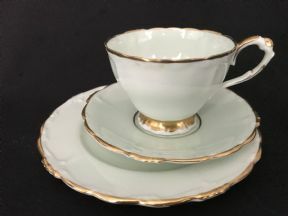 A lovely PARAGON tea trio dating to 1930's -40's. 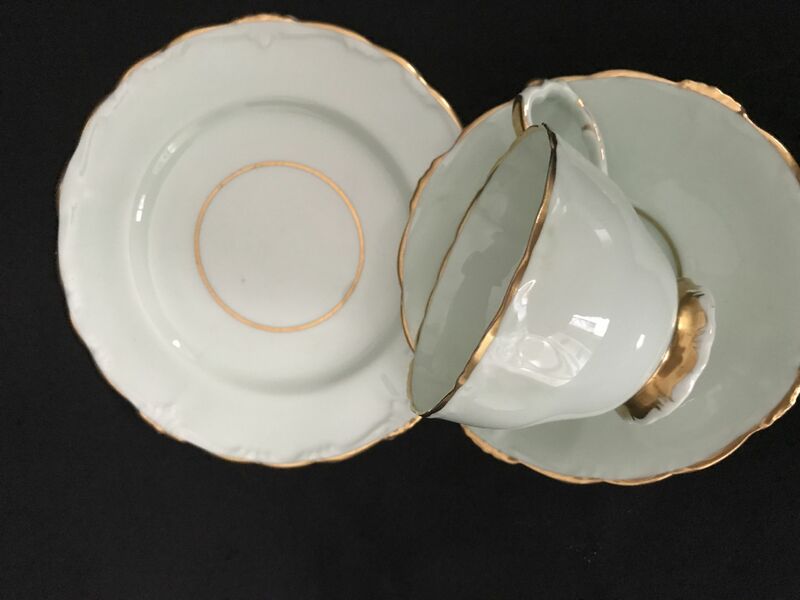 Fine thin china with a pale mint ground and gilt highlights. handle. 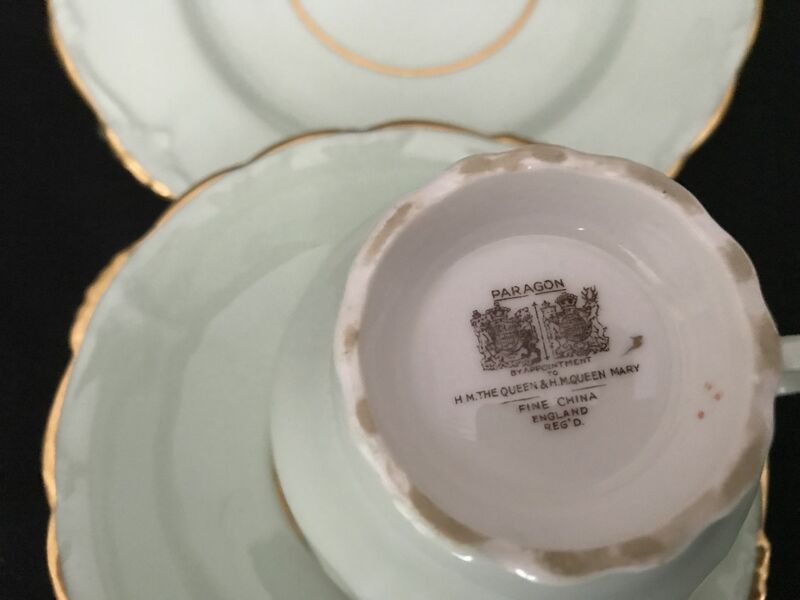 embossed pattern to rims of all pieces. 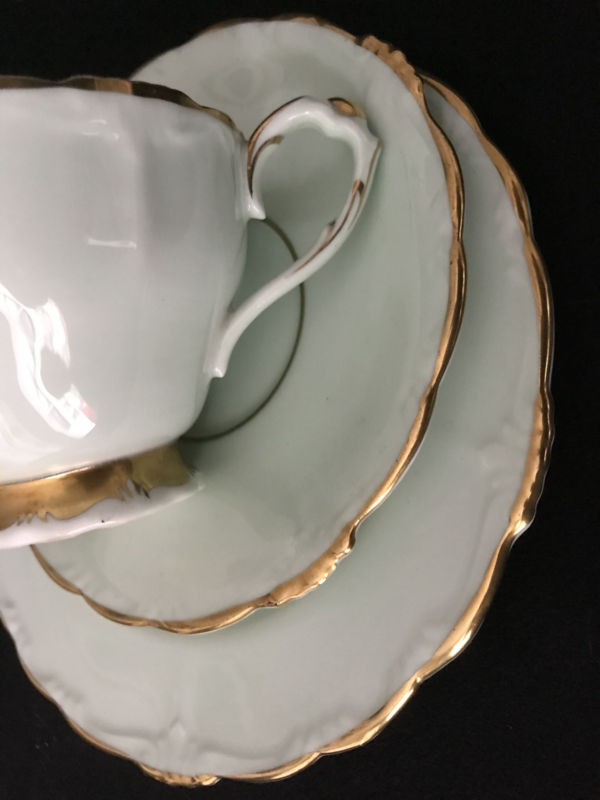 In good condition with minimal signs of use.